Do you want your house to get made a spacious look integrating with modern design ideas? So, this article invites you to share some sorts of an idea. A structure doesn’t get its full beauty only with the exterior design. It requires interior design as well for an adorned house. Both exterior and interior designs bear a great influence equally. 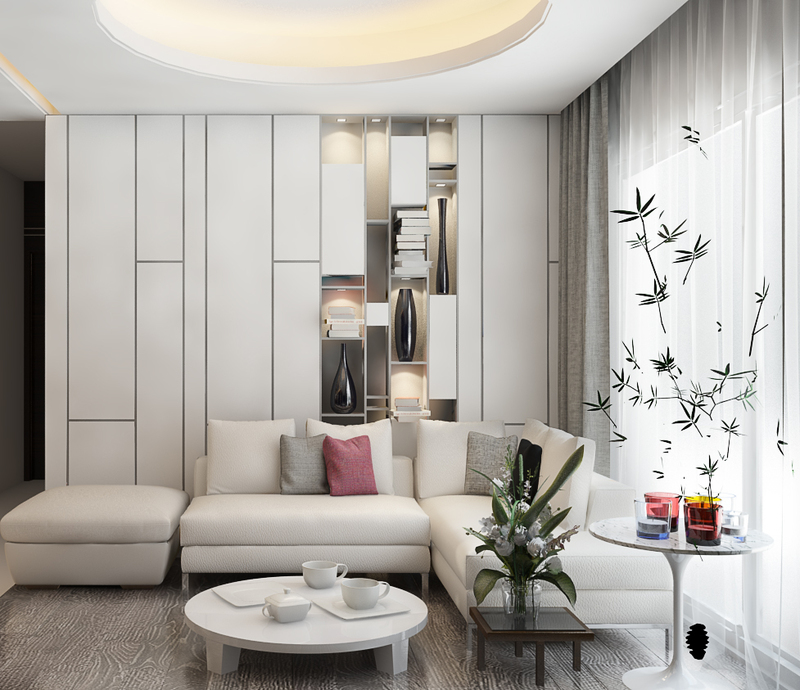 Here in this article, we will discuss how you can design your interior home immaculately. 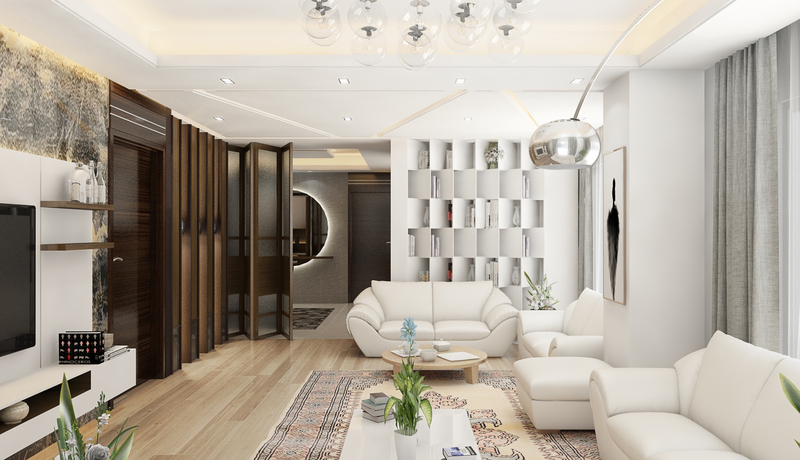 So let’s take a look at the interior design ideas for house/flat to look spacious. It so happens that everyone tries best to make their houses beautiful and attractive to look. Even we all try to make our small rooms spacious due to less space. In fact, a beautiful and grandeur home exhibits much about its inhabitants. We can have the chance of freedom to move and decorate elaborately if the house gets spacious. That’s why we long for such a house/flat. According to the design experts, shortness of space creates much crux. The following words will make you understand how you can get rid of such a problem to fulfill your desire in making your house spacious and grandeur as well. Only room design ideas are not enough for the best solution. I will try to present several points by stages so that you can get a great consequence in making your home spacious after applying these strategies. The most effective plans to transform your small living room into a more spacious room are here. First, focus on using color, scale, and weight. For example, apply long drapes instead of using blinds in the window intending to drawing attention to vertical space. Place the mirrors in the small places to make them feel more significant. Try to use neutral colors on the floor, walls, and ceiling. Select light and small-scale furniture to have a lightweight appearance. Painting plays an epoch-making role to make a room look larger. Paint your walls in various shades with the same color family. Black or super dark color can be applied in painting the walls to get a tremendous view. For a sharp wall, always apply bright color without fail. You can raise the roof up visually by following a trick. The trick is to paint the ceiling a lighter color than the rest spaces. All on a sudden, it will make you seem like a high ceiling. To make your room looking spacious, avoid using a few furniture pieces in the same color palette as the walls. Forbes magazine says, “Color is such a compelling aspect of decorating that it has the power to create a believable illusion.” So, the color combination is a must in this regard. Let your floor be colored lighter. Apply the idea of using cream carpets, natural and neutral toned tiles as well as whitewashed wood flooring. It will make your room appear bigger including airy and roomy feel. Indeed, the idea can outfight your heart. The grand idea for ceiling design is to make a difference between walls and ceiling in a painting by choosing light and dark colors. If you use the bright color in the walls, try the rest color for the ceiling as I mentioned before. For an aesthetic ceiling, you can use several designs after your choice. Balcony contributes much to the inhabitants of all the places in a house. When we get emotional or wish to see the surrounding, we rush to the balcony. Besides, balcony plays a significant role in the summer. To get in touch with fresh air, we spend some time there. Sometimes, we bask in the sun during the winter. So to say, we spend a remarkable time on the balcony. That’s why; its design should be grandeur to look. You can avoid using expensive furniture, and you can add some freshness with natural materials in the balcony. Even you can grow colorful and sweet smell flowers there. Bear in mind that the balcony should get enough space for the seat while making it where you can pass the time with friends and family members instead of sitting indoors. 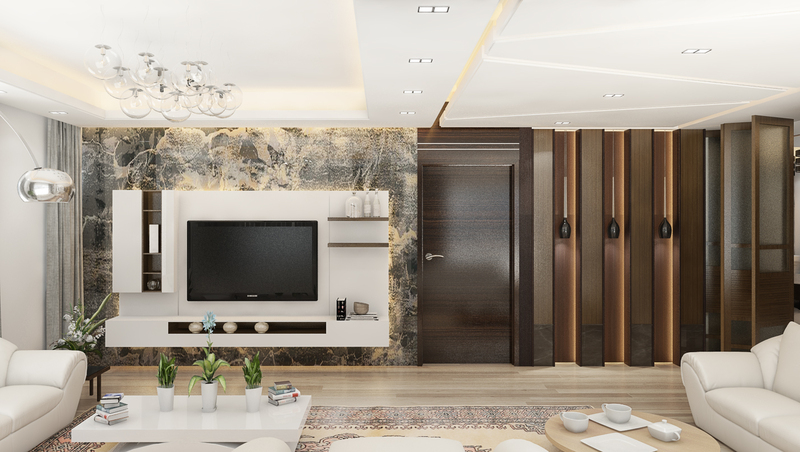 We come to the end of our article “interior design ideas for making your flat/house look spacious.“ This is how you can apply all these strategies in designing your interior house. Every step is significant for making the house castle-like. We hope that the above suggestions will help to make you take an epoch-making decision before building your dream’s house or flat. So, thank you for reviewing this article. Don’t be hesitate and feel free if you have any questions. Just let me know the queries, and I will try to answer all of the questions here. If you find this article valuable, then try to deal it with your friends as I am sure that they would choose to read about it. Thanks for staying with us ‘til the end of this guide! You can leave your comment below. Good Bye! PrevPreviousWhy You Should Decorate Your House?